Many of the companies in our industry the talk a lot but they don’t walk quite as much as they talk. We in Optimized Group thinks that you shall lead by example and therefore we are sharing some inside business data about OUR SEO performance. 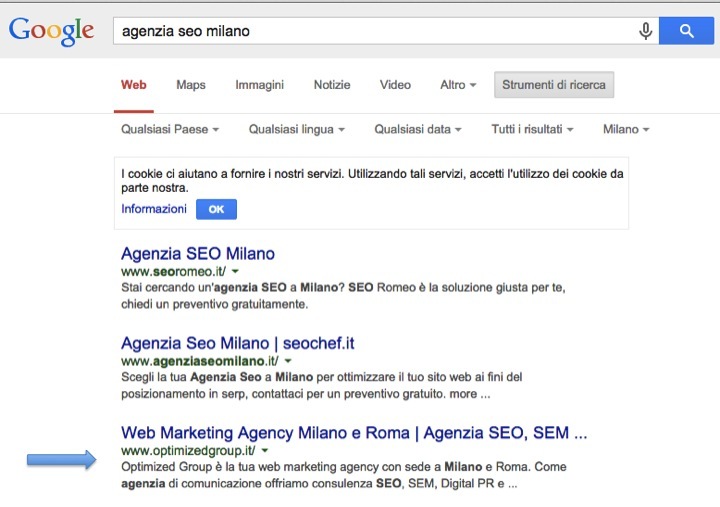 In this this first screen shot you can see how we rank number 1 for the keyword agenzia seo when situated in Milano. This is a great proof of performance as Milano is the hub for online marketing in Italy! 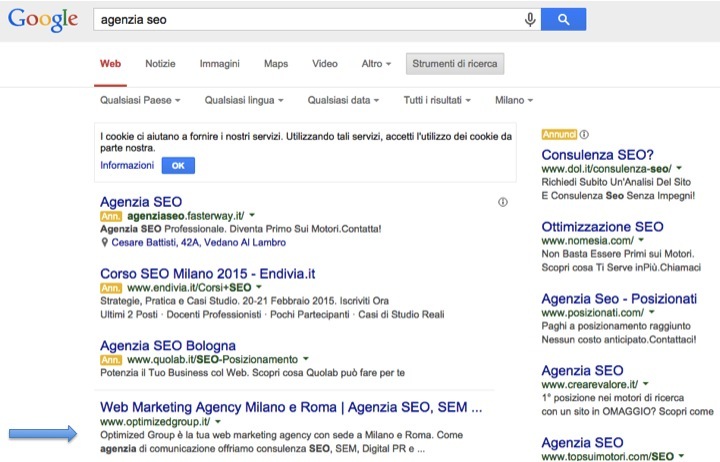 On the second screen shot we show you that we rank top 3 for agenzia seo milano regardless of where you are located in Italy. 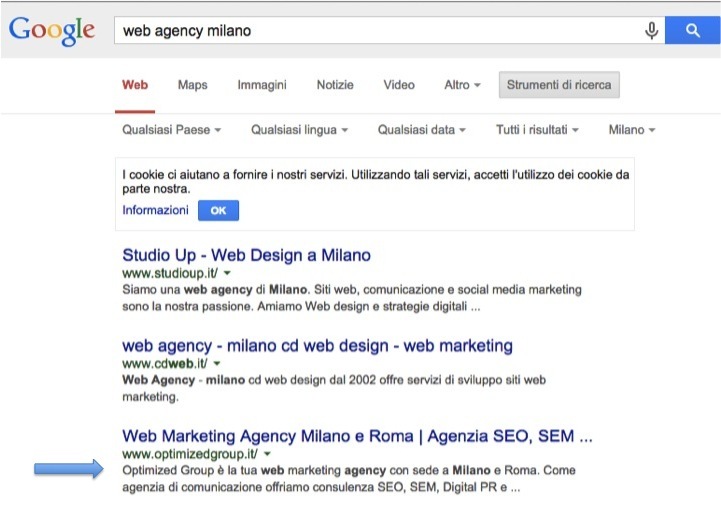 On the 3rd screen shot you can see how we rank number 3 for the keyword web agency milano which is also one of the most competitive keywords in the industry. On the last screen shot you can see that we have the biggest increase in organic rankings in the industry in Italy. The masked out competitor is one of the oldest and well respected agencies in Italy. With that said… you want to rank top 10 for the most competitive keywords in your industry then come to us!